LOS ANGELES -- Two planes bumped at a gate at Burbank's Bob Hope on Sunday, according to the Federal Aviation Administration. The FAA said Southwest Airlines Flight 815 was pushing back from Gate A1 when it bumped into Southwest Airlines Flight 1240, which was at Gate A2. Officials said passengers were on board Flight 815, but they haven't confirmed whether any passengers were on Flight 1240. The FAA said no injuries were reported. The amount of damage caused at this time is unknown, officials said. The FAA said the crash happened in an area where air traffic controllers were not controlling the aircraft. 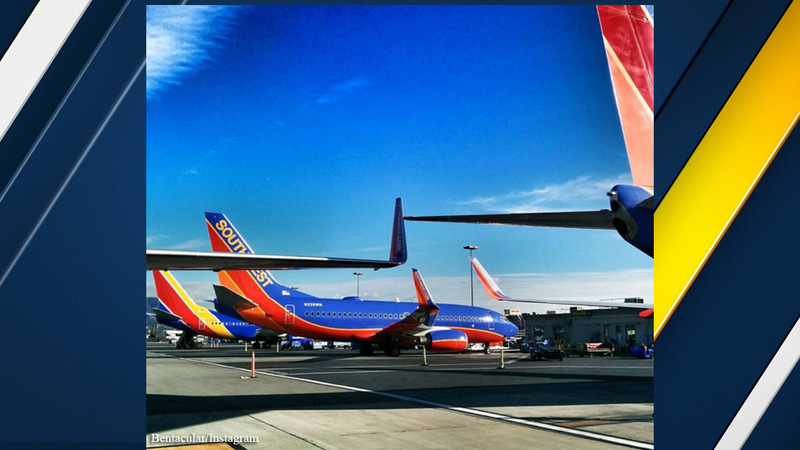 A passenger posted a picture to social media that appears to show the wings of two planes touching each other.